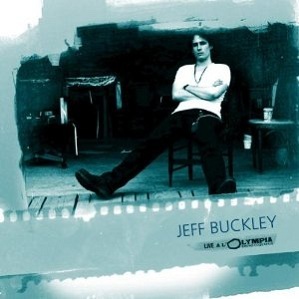 Live At L’Olympia is a live album by alternative rock singer songwriter Jeff Buckley recorded in concert at Paris Olympia in July 1995. This album was released posthumously after his death. If you are a fan of Led Zeppelin, you need a sense of humour to listen to Kashmir. Reviews at Amazon are positive without being overwhelmingly great. Is this the best live album by Jeff Buckley? How does he compare with his father Tim Buckley? Both have a singing style that uses their voices as another instrument. What Are The TWO Best Live Albums By Tim Buckley Or Jeff Buckley? I described Jeff Buckley as an alternative rock singer songwriter. I have included this album in the poll to find the best live album by a singer songwriter but I’m wondering if it is too loud for that category. Do you think it is good enough to be included in the poll to find the best live alternative rock albums? This entry was posted in 1990s Live Albums, Singer Songwriter Live Albums and tagged 1990s Songwriters, 1995 live albums, Jeff Buckley Live Albums, SS B by Paul Simister. Bookmark the permalink.